José Zavala taught and researched in his native Argentine for 13 years in the field of architecture and urban planning. Since his arrival in the UK, and after he received his MA in Housing & Urbanism from the AA, he founded ECONOVATE in 2005, developing a material design based on recycled fibre cellulose concrete as a substitute for standard concrete blocks. Jose is also a frequent contributor to architectural magazines. This research is concerned with the rising trend in housing policies centred on a multi-dimensional approach to deal with the design of socially sustainable housing programmes that, in turn, aim to alleviate poverty. The multi-dimensional perspective combines tangible and intangible factors, variably experienced by the poor according to their circumstances. These factors are identified as gender, age, geographic localisation, education, employment skills and capability, amongst others. This work is based on the premise that a new generation of housing programmes are emerging in the Chaco province, Argentina and addressing poverty alleviation through non-conventional approaches. The hypothesis is that these programmes can be characterised by a blend of features derived from the multi-dimensional approach and its central tenets: multi-sectoriality, participation and devolution. These consider institutional changes and new policies; therefore, programmes and projects embrace the complexities of poverty which need to be tackled by incorporating, in a synergetic fashion, the views of other agents and organisations, as well as combining top-down and bottom-up participatory processes. 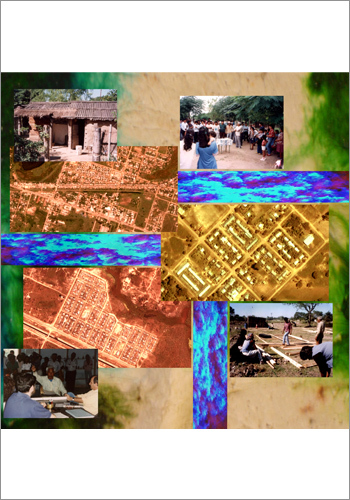 The research set up a theoretical framework, and developed a parallel between the three programmes and example projects, exploring their differences in terms of multi-sectoriality, participation and devolution (M,P,D) as main attributes, which signal the emergence of a new trend in housing policy. In order to analyse whether this trend has achieved consistent improvements for disenfranchised people, the work has selected three housing programmes addressing extreme poverty, while the three of them have different approaches and emphases on those given elements (M,P,D).